The least populated county in England (with just 62 people per square kilometre), Northumberland is an Area of Outstanding Natural Beauty like no other. Its undeveloped moor land is a firm favourite with landscape painters and tourists alike so why not try your hand at painting your own team masterpiece with our inspiring Work of Art event. The area is also home to many conference venues and hotels. Why not try one of our top indoor team builds such as the competitive Engima Challenge or become chocolatiers for the day with our popular Chocolate Factory event. Contact our friendly sales team on 0845 006 06 06 for more information, or fill in our quick online enquiry form and we will get right back to you. If you are planning a conference in Northumberland, our free venue finding service might be just what you need! Old world grandeur with a modern twist defines Slaley Hall where the interior is almost as dramatic as the exterior. Dine at Hadrian's Brasserie or at the Duke's Grill, indulge with a spa treatment or host a team building event in the lush green grounds! Located close to Hadrian’s Wall and just 25 minutes from Newcastle city centre, Matfen Hall is set in 300 acres of picturesque parkland. With 53 beautifully decorated bedrooms and fully equipped conference facilities, it is the ideal location for your event. This majestic venue was built in 1812 nested amongst 450 acres of beautifully manicured grounds. 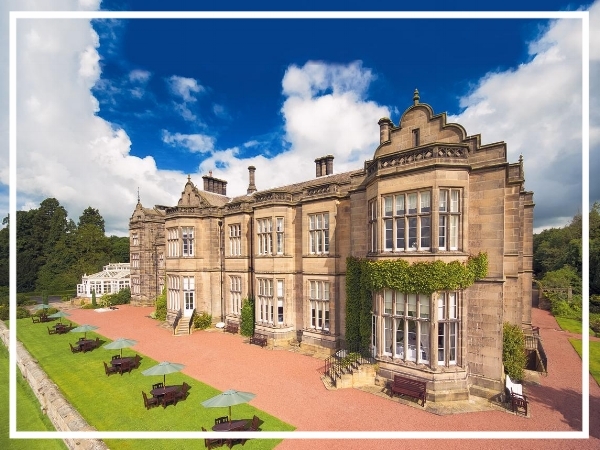 With versatile function rooms, a golf course, a two AA rosette restaurant and indulgent Spa facilities, Macdonald Linden Hall is the perfect away day destination!